Cetaceans are marine mammals that are obligatorily aquatic. Typically divided into two groups: Odontoceti (Toothed whales) and Mysticeti (Baleen whales), cetaceans are extremely widespread and diverse. 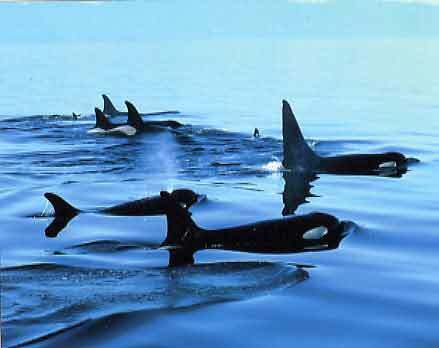 Dolphins like the Orca (largest member of the dolphin family) are found in all seven oceans (Nowak 2003). Similar to pinnipeds, cetaceans rely on blubber. Providing energy and regulating internal temperature, buoyancy, and streamline, blubber is extremely important (Nowak 2003). The internal skeleton of cetaceans is composed of oil filled porous bones. This allows long, deep dives while minimizing pressure damage to bones (Nowak 2003).